The Dell XPS 15 9560 is a powerful laptop that can handle whatever you throw at it. Perfect for heavy duty work like Video and Image editing, programming, and Gaming. The 2017 update to the trusty Dell XPS 15, is nothing short of amazing. Code named Dell XPS 9560, this newest iteration has more than enough to offer, especially to the every day power-user. By far, this laptop has been rated as the best by most tech platforms, and here at PC ADVENT, we couldn’t agree more. Here is an in-depth look at the Dell XPS 15 9560, 2017 edition. This laptop can do anything you throw at it, be it gaming, video editing, or even simple office work, it handles with ease and efficiency. As you will see below, this machine comes with a lot of performance enhancement, specifically engineered to give the best performance you could ask for. For a 15 inch laptop, the Dell XPS 15 is one of the thinnest, and perhaps the smallest you will find right now. It packs a lot of processing power, with two configurations of either the Intel i5 or i7 processor, with an Nvidia Gaming GPU for an exceptional gaming experience. The 2017 model doesn’t deviate from it predecessor’s design, meaning that it maintained the intuitive design. The thin screen bezels make the Dell XPS 15 look aesthetically superior to the other options out there in the market. The intuitive design allowed for the 15-inch screen to fitted on a much smaller chassis, making it even smaller than the MacBook Pro, and eventually very easy to carry around in a bag. The body is made up of aluminum, and carbon-fiber reinforces plastic, giving it a study premium finish that puts all the other contenders to shame. At two kilograms, it is most certainly not the lightest laptop, but for what it has to offer, the weight can be easily overlooked. 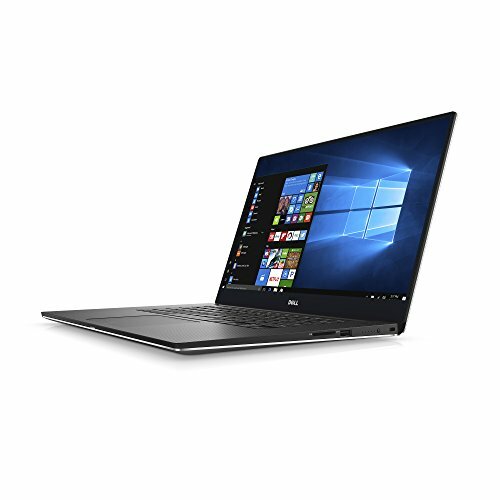 The XPS 15 comes with a 15.6″ 4K (3840×2160) Ultra HD touch screen, perfect for gaming, image, and video editing. With 6 million more pixels than a standard HD screen and a whopping 3 million more than the MacBook Pro, this is one of the best displays on a laptop. The design of the screen, as aforementioned, has very thin bezels, making it look sleek and the main reason as to why the laptop manages to have a subtle overall size. Unlike most 15 inch laptops, the XPS 15 comes with a standard keyboard. This means that it doesn’t have keys like the num-lock. However, the available space was intelligently used, with some keys being a bit larger than most conventional laptops. The keyboard set-up is spacious and can comfortably accommodate all hand sizes, and give better key travel. The keyboard is backlit for easy typing in the dark or environments that are poorly lit. Major improvements in 2017’s version went into the trackpad, making it more responsive and precise compared to the previous version. When the previous version came out, it got a lot of criticisms regarding the trackpad, but the new model introduced some improvements. However, if you are a power user, chances are you will be using a mouse, for a better user experience. The Dell XPS 15 9560 was specifically built to give the ultimate performance, and it doesn’t disappoint. As mentioned before, the unit comes with an Intel Core i5 or i7 processor. Its graphics are impressive, being the NVIDIA GeForce GTX 1050 with 4GB GDDR5; perfect for heavy gaming and video editing. With a 512GB PCIe Solid State Drive, this laptop is blazing fast, offering fast file reads and writes. The SSD plays a significant role in ensuring that the laptop performs better. It comes with a 3-in-1 media card reader and two USB 3.0 ports, a combination that is very hard to find on other laptops. It comes with a Killer 1535 802.11ac 2×2 WiFi and Bluetooth for wireless communication. The AC WiFi is an excellent addition and will ensure that you make full use of your Internet bandwidth. Just make sure that you have a compatible router. Other worth mentioning features include an HDMI port, decent stereo speakers with MaxxAudio, and a Thunderbolt three multi-use port. At peak performance, you can expect 4 or 5 hours of usage before you have to charge it again. At this point, a battery that gives you more than 4 hours of usage is considered to be good enough. Hopefully new advances in battery technology are made soon enough. This is the official overview of the Dell XPS 15 shot back on 2016. Dell put a lot of effort in ensuring that the XPS 15 9560 is a workhorse, and they did not disappoint. Compared to the other viable alternatives, it is by far the best.